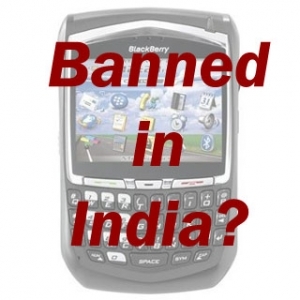 BlackBerry maker gets January 31 deadline from India | BlackBerry Blast! Research In Motion has been given a deadline of January 31, 2011 by the Indian government. The BlackBerry maker must comply with the country’s intelligence laws which means giving the government access to encrypted messages. RIM would be asked to adhere to the timeline of January 2011 to give the final solution wherein lawful access for BlackBerry messenger will not involve the overseas data path. Intelligence Bureau (IB) and National Technical Research Organisation (NTRO), which had attended the discussions, found that the solutions offered by RIM (for BlackBerry messenger) are prime-facie agreeable. The timelines of January 2011 were also agreeable. RIM should stand up to these government agencies instead of caving to their privacy concerns. User's privacy should be of the utmost importance to RIM. I won't be using a BlackBerry anytime soon.